If you’re not a dedicated yogi, fret not; this is a relaxed form of yoga. An instructor guides you through an all-skills Hatha yoga sequence, all while two to four month old Nigerian dwarf goats roam. These goats are pint-sized and aren’t afraid to snuggle, run, jump and climb on your back. They each have a colorful collar with their name so you can identify who’s who. 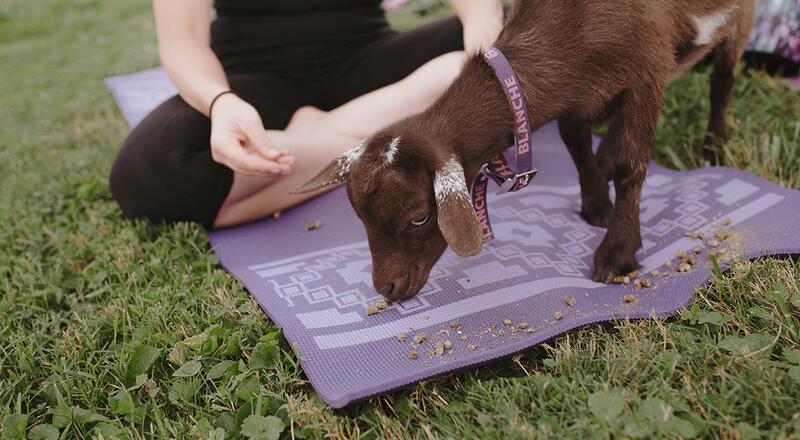 Goat snacks are provided to spread on your yoga mat to entice them to interact with guests, though they are free to do as they please. 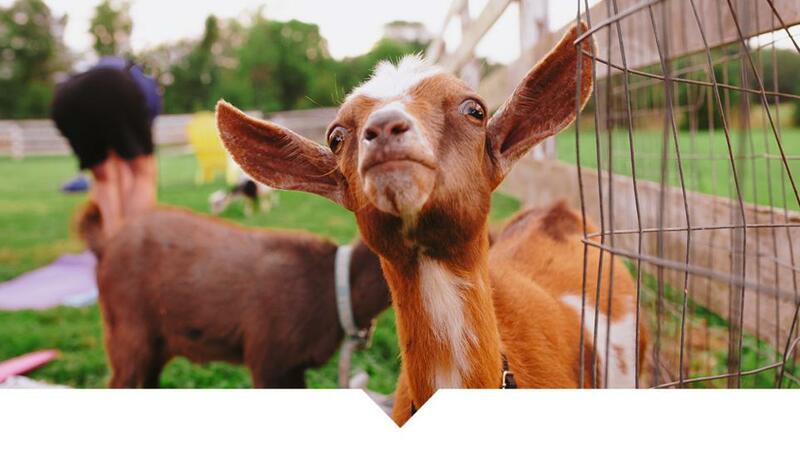 Don’t worry, there’s play-time built in to the end of class so you can meet and greet all the goats and take a selfie. Classes can be booked online and happen during the day or in the early evening. Personally, I would recommend a sunset goat yoga class, especially during the summer heat. You must be 13 years or older to participate and the cost is $20 without yoga mat rental and $23 with yoga mat rental. 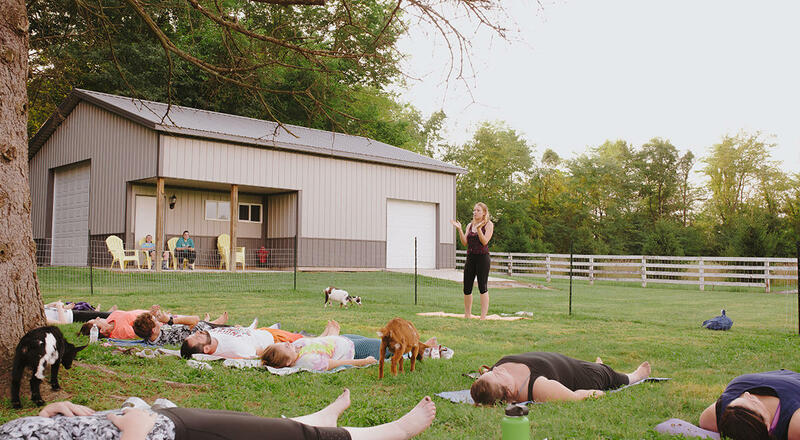 Find Happy Goat Lucky Yoga at 1212 Westfield Road in Noblesville, Indiana at Pathway to Healing Counseling, across from Mustard Seed Gardens. For more information on fun things to do in Hamilton County, check out our calendar. Be sure to follow us on Facebook, Twitter and Instagram to see what&apos;s happening in #VisitHC.